Screening and crushing industry leader McCloskey International has recently welcomed equipment dealer BL&D Plant Hire & Sales to its global network of distributors. The company serves Zambia and Zimbabwe. Representatives of the company were present at CAMINEX 2018 to launch the new McCloskey dealership with a McCloskey C38 on display June 5-7, 2018 at Kitwe Showgrounds in Zambia. The Africa Copperbelt Mining Exhibition & Conference features equipment and services for the mineral processing and mining industries, along with the latest technologies for the sector. Headquartered in Lusaka, BL&D Plant Hire & Sales’ expertise and capabilities include exploration and mineral exposure establishment and rehabilitation services and support, including forward camp establishment, access roads, and drill pads, roadworks, agriculture services including land clearing, levelling, canal construction and pipeline trenching. plant hires and warehousing. 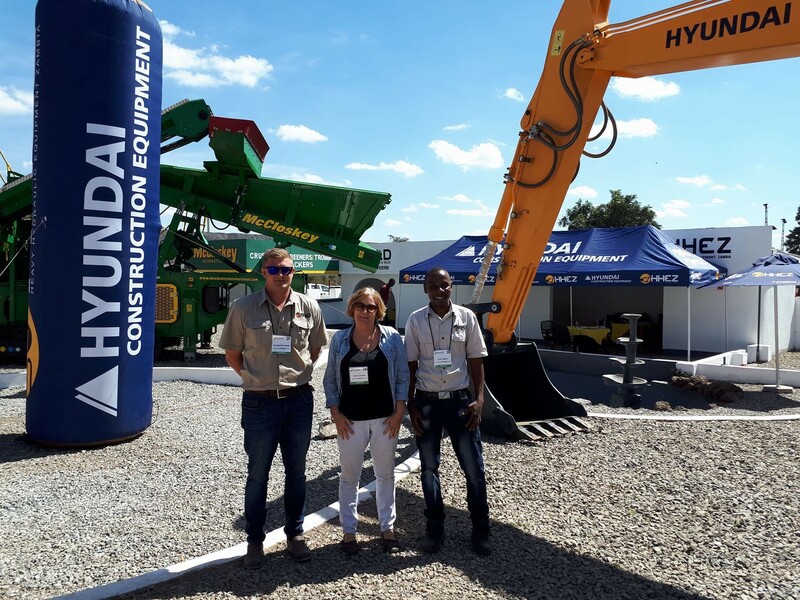 They employ a complement of 200 staff comprised of Operators, Mechanics, Drivers and Support Staff, working to supply the Zambian market with Construction Equipment through HHEZ, a Hyundai dealership, and Plant Hire Services through BL&D Plant Hire. BL&D has a diverse portfolio of customers within the private and public sectors, across multiple industries including mining, aggregates, road building and infrastructure, land clearing and agriculture, and material handling and processing. BL&D will also serve these industries in Zimbabwe. For more information on BL & D Plant Hire & Sales please visit www.bldequipment.com.